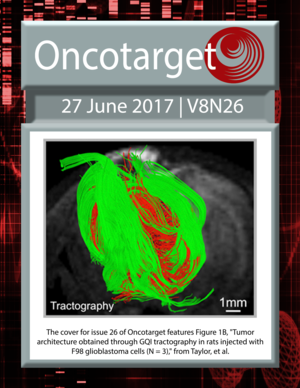 The cover for issue 26 of Oncotarget features Figure 1B, "Tumor architecture obtained through GQI tractography in rats injected with F98 glioblastoma cells (N = 3)," from Taylor, et al. Intermittent hypoxia produces Alzheimer disease? 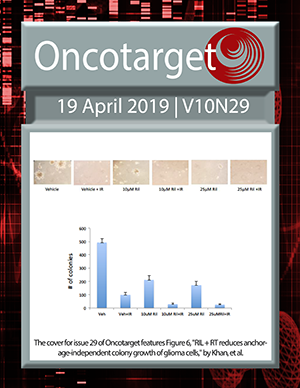 The influence of neoadjuvant chemotherapy on gastric cancer patients’ postoperative infectious complications: What is the negative role played by the intestinal barrier dysfunction?